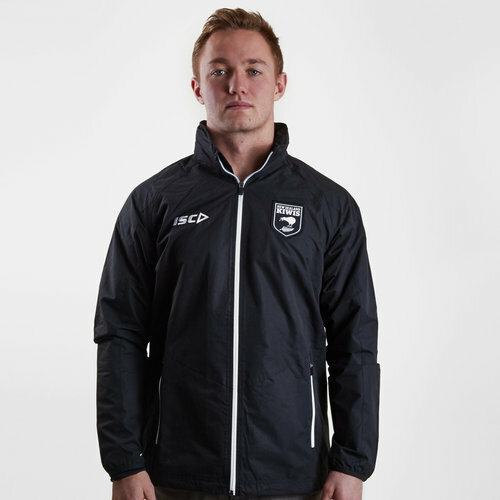 Show everyone you're supporting the Kiwis when this New Zealand Kiwis 2018/19 Players Shower Rugby Jacket from ISC. 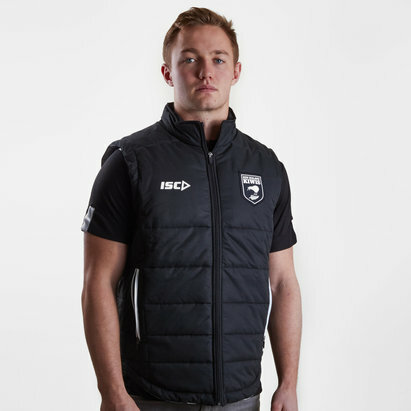 This jacket sticks to tradition by using the sides black and white colours. The jacket is black with a full, white zip down the middle and a hood so that you're protected from the elements as well as allowing for the desired fit. It also has two side white zip pockets for storing valuables or keeping your hands warm. It has been finished with the ISC logo on the right and the team crest on the left.